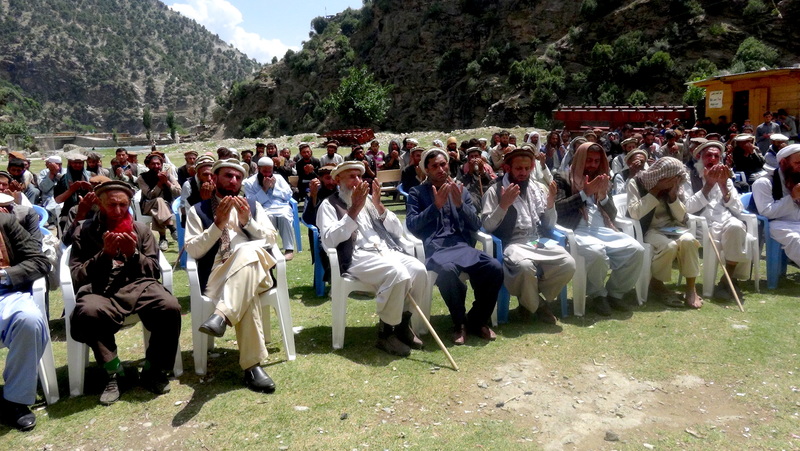 PARUN -- Religious scholars and tribal elders in Nuristan gathered in the provincial capital Parun late last month to renew their support for the Afghan National Defence and Security Forces (ANDSF) and to denounce the Taliban and other anti-government groups. About 50 religious scholars and up to 100 tribal elders took part in the event on December 20. They expressed their gratitude to the Afghan government and security forces, calling the nation's troops "protectors of the country and dignity". Earlier, on December 6, religious clerics and tribal elders from Nangarhar, Kunar and Laghman provinces similarly renewed their support for ANDSF during a meeting in Laghman Province. "We protect our religion, dignity and our territory, and we are doing this at the price of our lives," said Sgt. Mohammad Sadiq, an Afghan military officer based in Nuristan, during the event. "We co-operate with you, we sacrifice ourselves for you and for our country -- therefore, we ask you to support us, and I know that you have done so... you may trust us and we will trust you. Allah is with us, and no enemy can advance against us," said Sadiq. 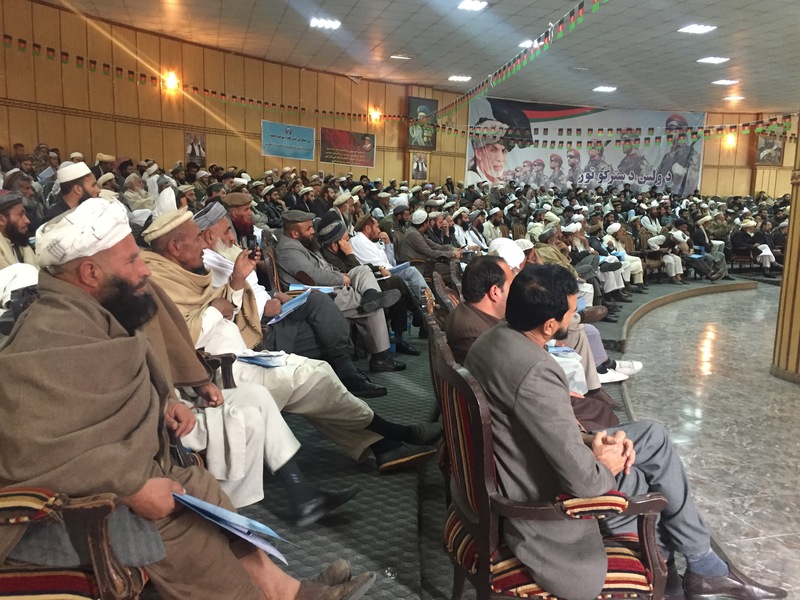 "Right now, we are here to declare our support for the Directorate of National Security, national police and the army," Mawlawi Sulaiman, a lecturer at a religious school in Nuristan, told participants. "May God bless them for protecting us and protecting the country," he said. "Pity on the [foreign] fighters who are martyring [our youth] and spreading fear. We will never forget the courage of our protectors." Others at the event declared the actions of the government's enemies to be against Islam. "The way you are following is not the right way," Nuristan Governor Hafiz Abdul Qayum told foes of the government. "The way you are following is not going to paradise, but it is the way to hell instead." "No one can go to paradise by killing Muslims, no one can go to paradise by launching explosions and suicide attacks on [mosques], no one can go to paradise by destroying roads and exploding bridges and no one can go to paradise by committing sins," he said. "Paradise cannot be obtained through destruction -- however, some ignorant people think that they will go to paradise by committing these sins and this is not the correct way. The Koran and hadiths say that it is the way to hell," said Qayum. "I call on those who have been deceived and are committing these destructive deeds in the name of Islam to quit this fighting for the sake of God, for the sake of this country and for the sake of Islam," he said. "I urge them to join the government for serving the public and for contributing to the reconstruction of this country." Mawlawi Abdul Ghafoor, a Nuristan religious scholar who gave the opening speech at the event, urged other religious scholars and tribal elders to stand against the militants and work towards reconciliation. "We are Muslims, the divine law is our law, we give testimony [of being Muslim], we give zakat [Islamic taxes], we do jihad. So, why we are fighting with each other, and why are we justifying the killing of our Muslim brothers?" asked Ghafoor. "If we want peace, we have to end the fighting, reconcile with disgruntled groups and rescue the country from these woes. The role of religious scholars is obvious in these issues," said Ghafoor. "Islam is not the religion of murder," he said. "Our religion does not tell us to kill women and children, but they are being killed, and the opponents have crossed the limit of cruelty," he pointed out. "We are calling on tribal elders and religious scholars to play their role in waking up the nation and informing them that this [insurgency] is not a fight for Islam but rather a fight for the benefit of foreigners." About 200 religious scholars and tribal elders declared their support for security forces in eastern Afghanistan. 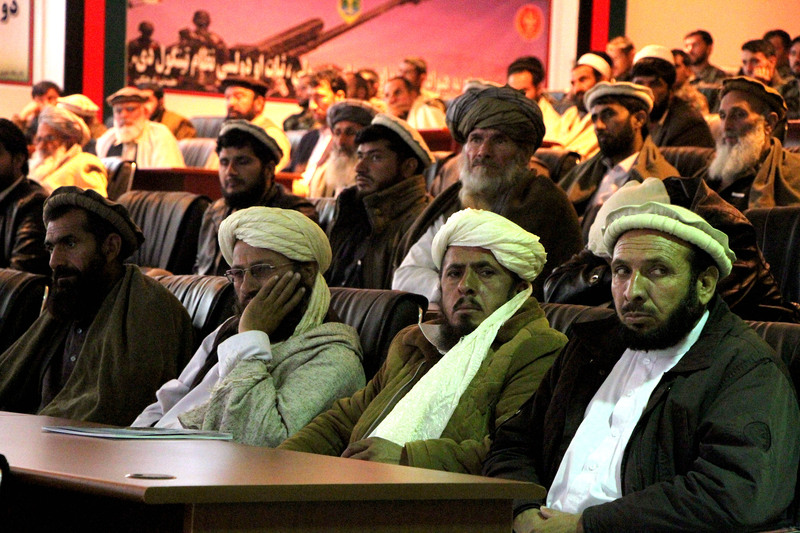 Afghanistan's High Peace Council has authorised religious scholars in Nangarhar, Kunar, Laghman and Nuristan provinces to urge Taliban militants in their areas to join the peace process. Residents say they will take up arms against the Taliban if they do not accept peace.